In the wake of her parents’ death, Kara Fallon (Colleen Conroy) struggles to maintain her sanity through increasingly intense encounters with a weeping spirit of Irish legend. 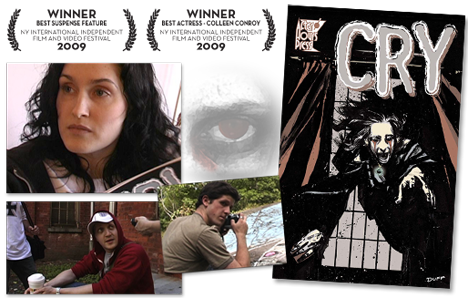 If these visions are not real, how can the eccentric comic book artist Duff (Joey Klein) capture her terror so vividly in his latest work, “Cry”? Cry is a ghost story, a love story, a nightmare, a legend, and much more–a film that resonates like the wail of the Banshee itself.